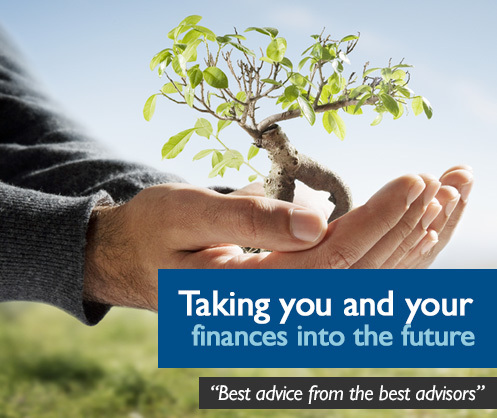 At Forward Financial Planning we offer a comprehensive financial review and advice service to clients both old and new. We are an established and progressive Independent Financial Adviser company looking to stand out from the crowd for the right reasons! Our core business areas include advising on individual and company pension schemes, savings and investments, long term care, both personal and business protection and all types of mortgages. We adopt a philosophy of "Best Advice from the Best Adviser" which means that you will see the most suitably qualified adviser for your enquiry. A financial adviser's client bank is extremely diverse and in any one week we could be talking to people about protecting their mortgage to investing their lottery winnings! The protection of an individual’s estate against Inheritance Tax (IHT) can be quite complex and often due to these complexities some people simply chose to ignore the huge savings a little time and effort can have on passing on your wealth to your family. We are a totally independent firm of financial planners and advisers which means that we will research the whole of the market for the most appropriate service or product for you, the client. 35 Fore Street, Wellington, Somerset, TA21 8AG. Chandos House, 8 Chandos Street, Bridgwater, Somerset, TA6 3DL. Forward Financial Planning is a trading name of FFP (SW) Limited a company registered in England under company number 5944323. Registered address 35 Fore Street, Wellington, Somerset TA21 8AG. Authorised and Regulated by the Financial Conduct Authority No. 452318 and is registered under the Data Protection Act No. Z9523794. © 2019 Forward Financial Planning, all rights reserved.